In celebration of Black History Month, I wanted to be sure to recommend one of the most beautiful books I’ve seen in some time. 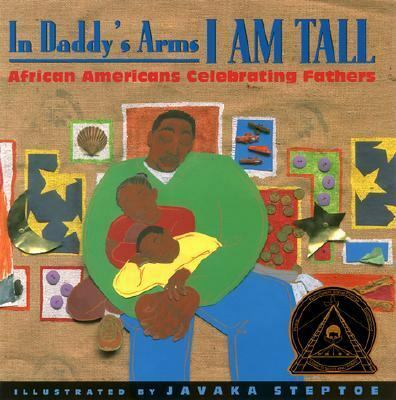 “In Daddy’s Arms I am Tall” is a compelling and stunning collection of poems paying tribute to African American fathers from a wide variety of writers, new and old. Winner of the Coretta Scott King Illustrator Award, this book is a treasure trove of words and collage pictures from Javaka Steptoe that will resonate with every family, no matter the color. From the introductory Ashanti proverb: “When you follow in the path of your father, you learn to walk like him”, to the poems of Folami Abiade and Sonia Sanchez, this collection is a true testament to the power and beauty of fathers everywhere.